This resin trophy will stand out in any display area and make the perfect memento for your star soccer player! In the shape of a star, this trophy features a black and white soccer ball bursting through it. 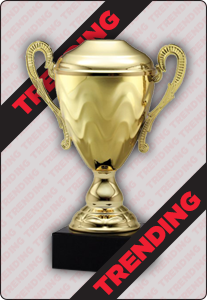 This trophy can be personalized with an engraving to make an extra special gift.